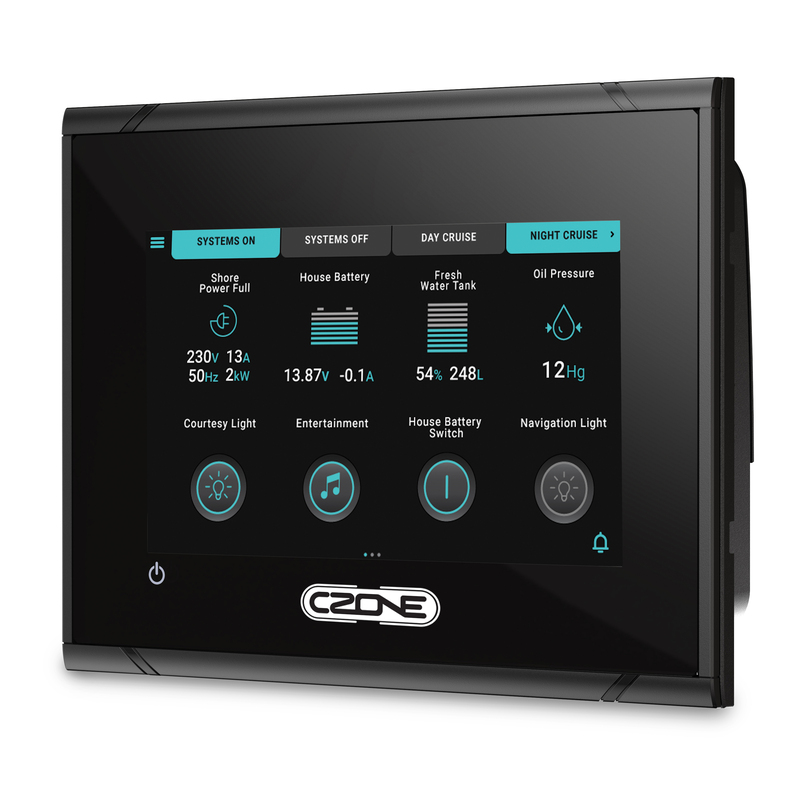 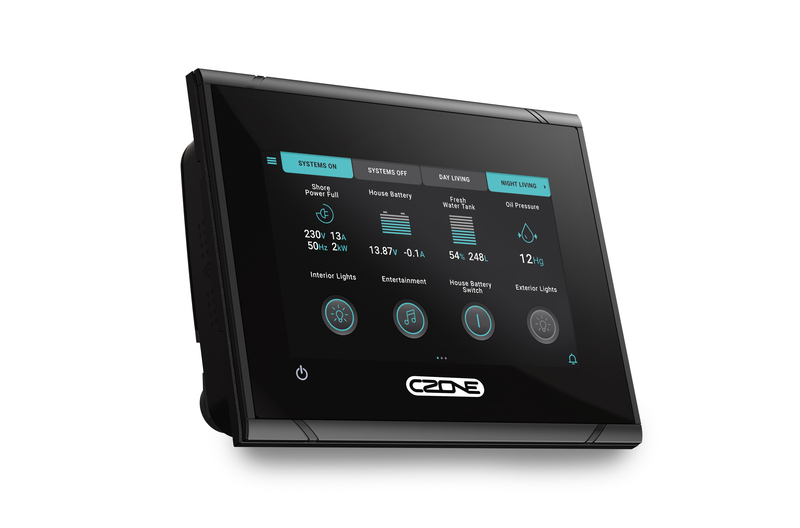 The sleek Touch 5 adds a compact touchscreen option to your CZone® installation. While offering many of the same features as its bigger brother, the Touch 10, this display module adds WiFi connectivity as well as the higher specification IPX7 waterproofing. With a super bright widescreen display and the latest capacitive touchscreen technology, this compact unit outperforms perfectly in sunlight. 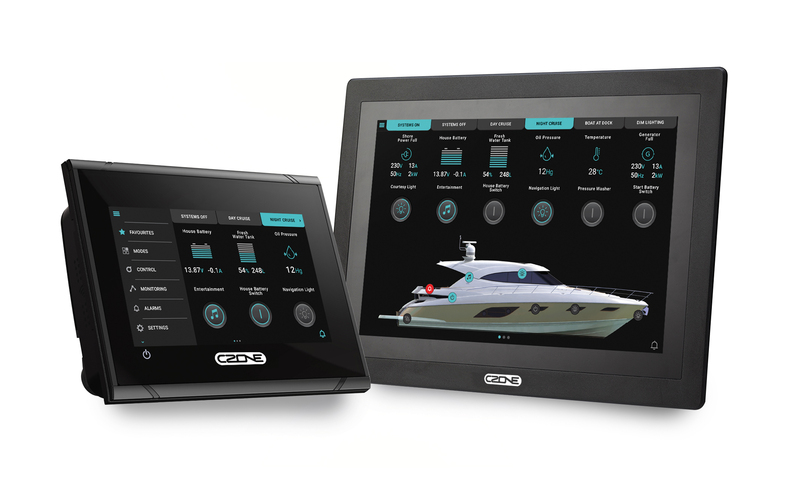 It also suits smaller applications where space is at a premium, or on larger applications as a secondary display. Easy to use touch interface. 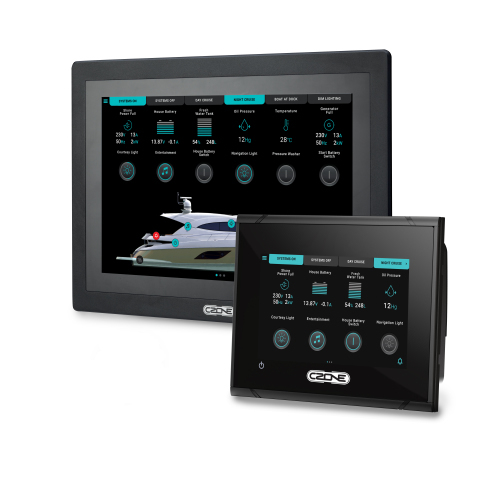 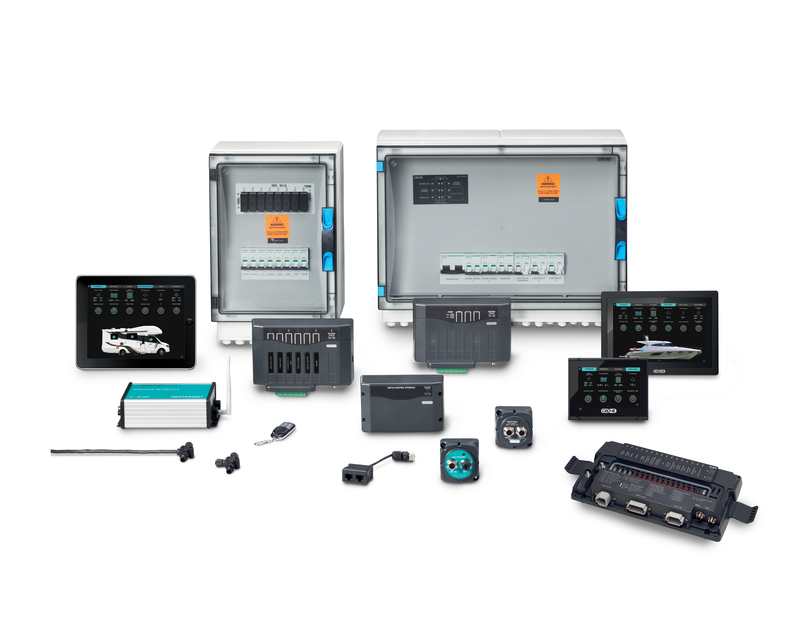 Reduced system cost and complexity, combines display and Wireless Interface functionality into one unit.